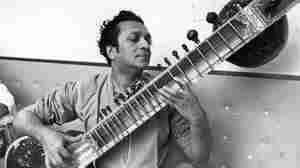 April 6, 2010  Learn the basics of the raga, the sitar and the tabla with India's master, Ravi Shankar. 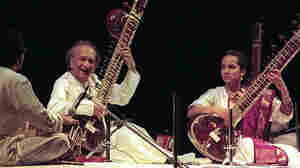 The examples are played by his daughter, sitar player Anoushka Shankar, and tabla virtuoso Tanmoy Bose. July 21, 2015  For her latest album, Home, Shankar has returned to the classical training she'd absorbed from her father, the late Ravi Shankar. 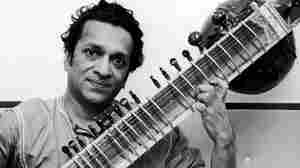 December 14, 2012  The world mourned the death this week of the Indian maestro whose name became synonymous with the sitar. Closer to Shankar's home, Indians mourned the man they affectionately call Pandit-ji, or Teacher. "He changed the whole approach to how an artist is perceived," says sitarist Shubhendra Rao. 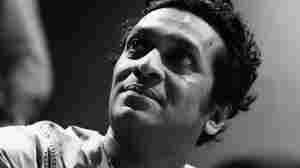 December 12, 2012  Ravi Shankar was not just an ambassador for Indian culture. He was an intrepid musical explorer who as a teenager heard Cab Calloway and who created collaborations with artists ranging from George Harrison to Yehudi Menuhin to Philip Glass. Hear five Shankar collaborations you must know. 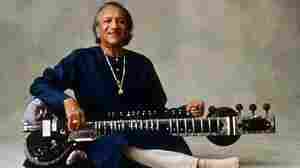 April 6, 2010  For more than 50 years, Ravi Shankar has been the man responsible for bringing Indian classical music to the West. Hear Shankar, in conversation, as he reminisces on his life and explains the basics of Indian classical music with help from his daughter Anoushka and radio host Fred Child. August 24, 2010  For more than half a century, jazz musicians have collaborated with Indian classical musicians with frequently remarkable results. From Ravi Shankar and Bud Shank to Don Cherry's Codona, here are five works that engage jazz improvisation and Indian ragas. 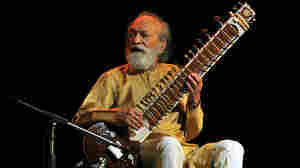 April 7, 2005  In the latest report for the NPR/National Geographic co-production Radio Expeditions, NPR's Susan Stamberg travels to India to talk with Ravi Shankar, the world-famous sitar guru. Shankar turns 85 this week. August 30, 2007  Sitar master Anoushka Shankar spins some of her favorite songs and chats with All Songs Considered host Bob Boilen about her latest CD, Breathing Under Water.